Here at BTST Academy, we can help you to achieve your dreams of becoming a sports massage therapist or to take your career to the next level with accredited Continuous Professional Development. So why choose to learn with us? We are an accredited sports massage qualification provider, delivering industry-recognised and respected Active IQ qualifications. Our training team comprises highly qualified and motivated tutors who are passionate about seeing each student reach their full potential. Collectively, our tutoring team has more than 19 years of experience in the sports massage therapy industry and in delivering sports massage courses; experience which we are committed to passing on to the next generation of professionals in the field. This necessary qualification will give you the skills, expertise and confidence required to operate as a professional sports massage therapist. Once achieved, you will be in a position to practise in your field, either as a freelancer or as an employed sports massage therapist and to gain the necessary insurance to operate. The course covers five key units: anatomy and physiology, principles of fitness, health and exercise, soft tissue dysfunction, professional practices and specific sports massage techniques. The Level 4 Diploma builds on the learning outcomes of Level 3 and takes these concepts further. Students will learn how to treat and correct typical patterns of soft tissue dysfunction and injuries which have been pre-diagnosed by a GP for sports massage therapy. Learning outcomes include client assessment skills, injury identification and dysfunction, introduction to special testing, massage skill and technique development, aftercare advice and corrective exercise and prescription knowledge. Upon successful completion, students can progress into specialist sports massage therapy fields or into fitness instruction career routes. Students can also progress their academic learning further to a Level 5 course or into a specialist physiotherapy or osteopathy course. Sports Massage professionals will often deliver a holistic and integrated set of supporting treatments that sit alongside massage techniques for the best possible outcomes. These can include dry needling, sports taping, gait assessment, myofascial release, sports injury treatment, neuro-spinal assessment & treatment and real-time ultrasound. Contact us to find out more about the courses that we offer at the BTST Academy. BTST Academy combines the excellence of Active IQ qualification with our highly qualified and experienced tutors to deliver outstanding sports massage courses, we at BTST pride ourselves in delivering an exceptional learning experience for all our learners. BTST Academy only deliver face to face courses and workshops ensuring the optimal learning experience. We are passionate about helping others and all tutors and assessors practice what they preach giving you, real hands on knowledge and experience, whilst offering the tools and support necessary for our students to reach their full potential. Want To Know More About Our Sports Massage Therapy Courses? Please tick here if you would like us to contact you by email or text with information about goods and services which we feel may be of interest to you. With demand growing, qualified therapists can look forward to either working freelance or in an in-house position at a gym or specialist sports massage therapy clinic. Hourly rates vary but freelancers will typically charge around £30 an hour for sports massage. In-house employed positions can earn between £18 and £25k or more depending on experience. The work is flexible, rewarding and offers plenty of opportunity for progression and the chance to create a rewarding career. 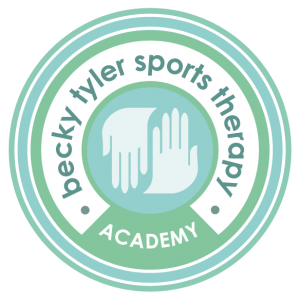 At the BTST Academy, we deliver training that leads to qualifications in sports massage on a face-to-face basis. These are held through individual courses and workshops which run throughout the year. Why face-to-face rather than online? Because we know that the nature of sports massage and sports massage therapy means that learning needs to be first-hand, immersive and practical alongside theoretical know-how. 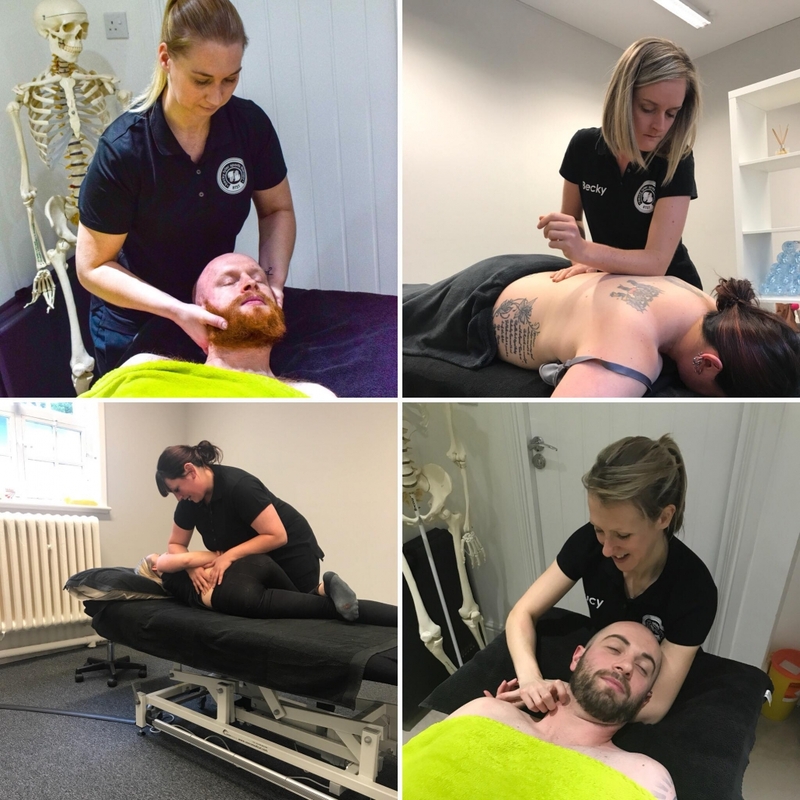 Our team will give you the real-world experience and hands-on knowledge that you need to succeed in the field of sports massage, providing you with the tools, practical skills and support that you need to achieve your every goal. We offer training that leads to qualifications in sports massage at level 3 and level 4, along with ongoing professional CPD courses to help you to take your career further. We offer the qualifications needed to set up and begin practising. We take real pride in providing quality outcomes and a rich learner experience that brings our course content alive for learners. For us it is more than just achieving a piece of paper; we are committed to ensuring that our course graduates feel prepared, confident and ready to take their next career step. We offer the qualifications needed to set up and begin practising as a sports massage therapist (the level 3 diploma) through to advanced CPD modules for those seeking to take their career further. Why become a sports massage therapist? The health and fitness industry is estimated to be worth around £5bn in the UK and is growing every year. As more people participate in sports and fitness activities, the need for qualified sports massage therapists has also grown and the skill is now highly in demand. Clients vary from occasional gym-goers through to elite athletes, with therapists working as much to prevent injury as well as to treat them. 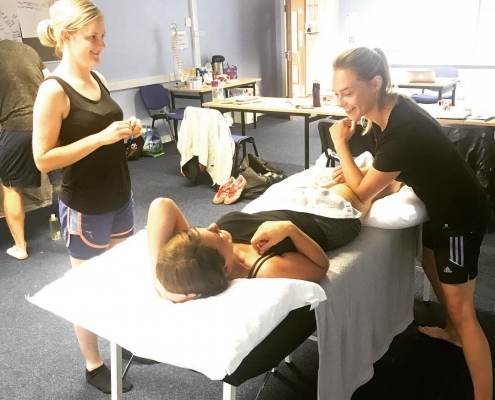 Qualified sports massage therapists will have a relevant diploma at level 3 or 4, and ongoing professional development (CPD) is essential to keep developing and growing in your field. Alongside formal qualifications, successful practitioners need to have great communication skills, to enjoy working with people and to be adept at helping people to feel comfortable even when they are experiencing stress, discomfort or more acute pain.